When primary school pupils in Du Noon were asked where vegetables came from, they answered “Fruit and Veg City”.Shocked Sophakama Primary school social science teacher Sergeant Tshuma said when he told them that vegetables were grown in the soil they didn’t believe him and told him he was lying. In order to convince them, he that he decided to start growing spinach on the school grounds. That was two years ago. Now, the school’s spinach cultivation is so successful it is a staple ingredient in the stews and soups provided for the children by the school feeding scheme and sales of it to surrounding residents generate some income for the school. The vegetable garden not only educates the children about food and the environment, but about business as well, said Tshuma, as the spinach was sold to residents for R5 a bunch. “It’s an integration of theory and practice. What they learn in class they practice in the garden,” said Tshuma. Grade 5 pupil, Somikazi Filane, 10, said it was exciting to participate in growing the school’s spinach crop. 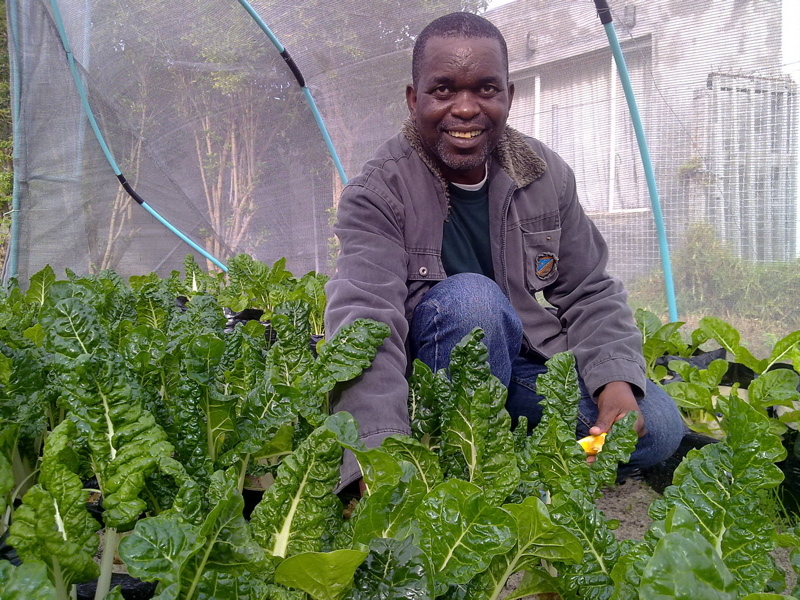 “I have learnt about growing plants,” said Filane. Another pupil, Athini Plaatgie, 10, who is in grade 4, said she has learnt that plants grow from the soil and what they need to flourish. Grade 4 pupil Analiswa Papiyana, 9, said planting and taking care of the vegetables has helped her learn about the environment, as Tshuma lobbied for a water tank to collect rain water from the school roof in order to conserve water.